My name is Erin Coleman. I am 35 years old and had end stage lung disease from bronchiectasis. After more than ten years of continuous oxygen wearing and diminishing results, I was evaluated for a double lung transplant. Thankfully, Shands Hospital at University of Florida determined my ratty old lungs and I were prime candidates for transplantation. After my health took a sudden turn for the worse, I was flown to Shands to fight to become stable enough for transplantation. I was very sick, and it set me back considerably, but in due time, lungs became available, and on 12 Oct 2015, I received my shiny new airbags! The lungs have made themselves quite comfortable for the most part, but as is expected with transplant living, theres still plenty of curveballs to dodge. Life is expensive, and I need your help. The transplant center recommended fundraising. On top of medical costs, there are temporary relocation considerations post-surgery for myself and a caregiver, and the immunosuppressant medications I’ll be on for the rest of my life are quite costly. These funds may pay for uninsured medical expenses, but the fulfillment I’ll receive when I have the stamina to cook a meal for my family, visit my loved ones without limits of air supply, or even complete a beautifully mundane list of chores on my own is priceless. To help with fundraising efforts, a campaign in my honor has been set up with Help Hope Live, a nonprofit organization that has been assisting the transplant community for over thirty years. All donations are tax-deductible to the full extent of the law, held by Help Hope Live in the Southeast Lung Transplant Fund, and administered by Help Hope Live for transplant-related expenses only. For more information, please contact Help Hope Live at 800.642.8399. Thanks for your support! I will share this everywhere I can to help fund Raise! A friend shared your story. You're special to him, and he's been a special influence in my life. I hope I can help in even a small way. Be well, I know my Gators will take care of you. Sending you love & light. You are a strong woman. We love you! I love your brilliant, beautiful face! Sending you more love and hugs than your petite self can absorb. We love you so much Erin B... You can do this! Hi Erin...you and your mom are a real inspiration. Hang tough. I am happy to know you. It was a pleasure to meet you at Beery's Mac n' Cheese fundraiser. We want to wish you our best and hope you will soon be well. We wish you success in your quest for a lung transplant. 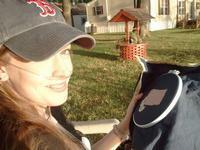 Our son in MA had a double lung transplant in May 2010, he had end stage Cystic Fibrosis. He recovered extremely well and is enjoying his new life with his wife & 4 young children. We will send a donation and pray you will be as blessed with new lungs soon. I read your story in the Venice Gondolier. I wish you the best stay positive I live in Venice.will send a donation to help with you getting your new lungs. Erin, We will continue to pray for you. Kelly & Barb / Jacksonville, FL. Good Luck! !I will be praying for you!! Hi Erin, I love you, you will get your lungs, I will help!